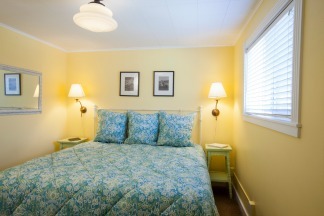 This ocean front one-bedroom suite is located on the ground floor of our Sea Sprite at Haystack Rock Hotel. Spend an evening watching a glorious sunset over the Pacific Ocean. This ground floor unit offers panoramic views of the surf, Haystack Rock and the beach north to Ecola Park. This suite also has a private patio with equally amazing views. 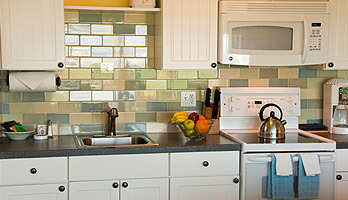 The room has a full kitchen and a gas fireplace for snuggling in front of on those stormy nights. Perfect for a couple or small family, the Lighthouse Suite features a king-size pillow top bed in the bedroom and a full-size sofa sleeper in the living room. Sleeps 4 people.